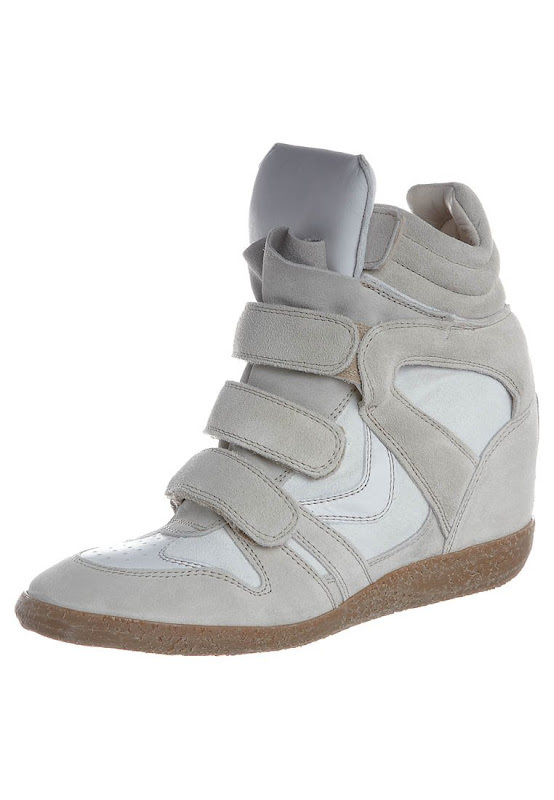 I'm still not sure what to think about these shoes.. but I know that a lot of people are looking for some affordable ones.. And for those who are looking for the perfect Isabel Marant Sneaker look a likes (because the original ones are waaaayy to expensive) I found the perfect ones at Zalando! You can find them here! Asos also has good look a likes, you can find them here. Just curious, what do you think? Love or hate? Ik vind ze helemaal niets.. Nee, doe dan echte hakken, of echte sneakers. Maar niet 2 in een. Sorry, vind deze kopie echt niet mooi! ik wil ze hebben, maar kan ze niet vinden......HELP! De witte zijn echt het mooist!